Solar energy is everywhere and with Yingli Solar panels, you too can harness the power of the sun – the world’s most abundant and accessible source of energy. Yingli Solar is a global business with award-winning solar technology products; it is also one of the world’s largest solar panel manufacturers. Communities in 90 countries around the world are already using Yingli Solar expertise to overcome unique local energy challenges successfully, including in some of the most diverse climates and environments around the globe. As homeowners, businesses and communities worldwide confront unprecedented energy and environmental challenges, Yingli Solar remains committed to providing affordable green energy for all. 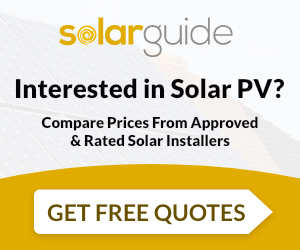 Why choose Yingli Solar Panels for your UK home? For homeowners, solar panels represent a secure, long-term investment that not only reduces your carbon footprint, it can reduce your electricity bills too. Reliability and performance are essential if you are to enjoy the benefits of solar over the long-term, and Yingli Solar is focused on delivering the best possible lifetime value for its customers. After all, you are not only buying highly specialised equipment, you are also entering into a commitment that will span future decades. As a result of years of expert research, development and continuous improvements, Yingli Solar offers the very best in performance panels. Scan the summaries below to find out which Yingli solar panels are available to choose from for your domestic installation. A standard-sized module in the Yingli range, these panels deliver efficiency of up to 17.9%. An ideal choice for all types of applications, but particularly when efficiency and power output per square meter are the priorities. The PANDA series offers homeowners impressive efficiency levels of up to 20.1% backed up by one of the highest module performance ratings in the world. With standard sizes offered, this range is ideal for home applications. The YGE 60 Cell is a highly versatile choice and is the Yingli Solar signature product. The panels are compact enough to fit on residential roofs comfortably. This series is also UL and IEC certified.